Natural stone has always been an attractive and versatile material in horticulture and landscaping. The new trends in the design of structural and architectural garden outdoor areas in particular have substantially increased the demand for design-versatile natural stones with their interesting colours. The Solnhofen Stone Group is your reliable supplier of the widest variety of natural stones for all areas of horticulture and landscaping: from floor coverings, to walls, through stone works. 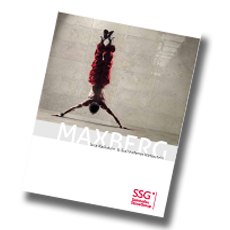 Solnhofen natural stone and MAXBERG® Jura Limestone are not frost-resistant and therefore are only partially usable in outdoor areas in our part of the world. On the other hand, they are very popular in the Mediterranean region. Simply send us a question; we would be happy to advise you.